Beat the butter with an electric mixer until light. Add sifted icing sugar and beat until very light and soft. Add vanilla, cognac, and salt. Beat until creamy and very light. Add sifted flour, fold it in with a metal spoon. Add nuts and mix through with a spoon. Roll it into balls and place on cookie sheet. Bake in a preheated oven at 170 ° for 12 minutes. 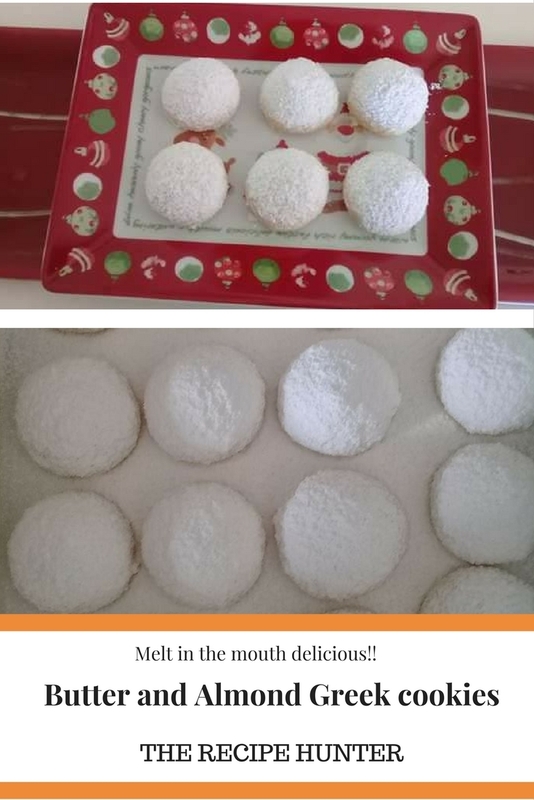 Place the baked cookies on a baking sheet covered with sifted icing sugar. Dust the cookies until the tops are completely covered, while hot. These look so pretty. I haven’t made any Christmas biscuits yet this year, but I’m liking the sound of these.